From the highly anticipated Batman: Arkham Knight videogame, Catwoman,Commissioner Gordon, Nightwing and Robin come to life in these new actionfigures based on their appearance in the game! Each figure comes with multipleaccessories! This series includes: 6. 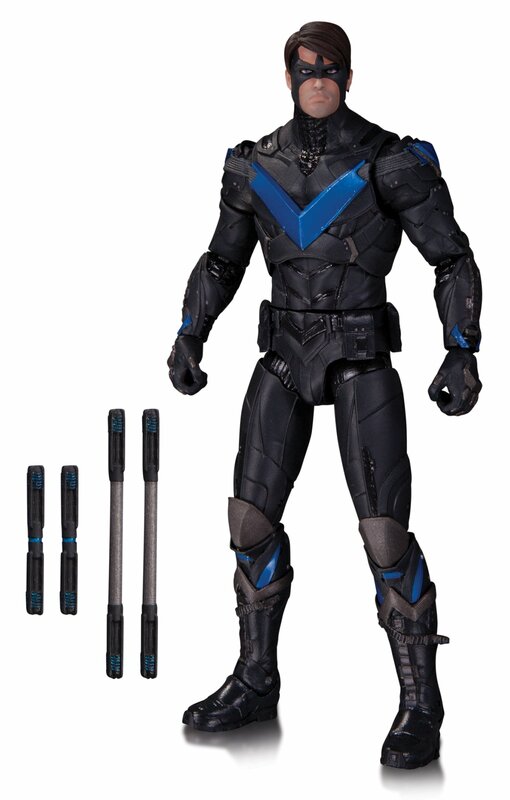 NIGHTWING - 6.75" 7. ROBIN - 6.75" 8.CATWOMAN - 6.5" 9. COMMISSIONER GORDON - 6.75" EACH FIGURE SOLD SEPARATELY.